Directions: From the Town of Madison, follow Ruth Road 4.8 miles to Ruth Hollow Fire Trail on the right. For GPS purposes, the house on the corner of Ruth Rd and Ruth Hollow Fire Trail is 9 Ruth Hollow Fire Trail (not a part of this listing). 17+ Acre Mountain Retreat. A very rare find in Madison County. 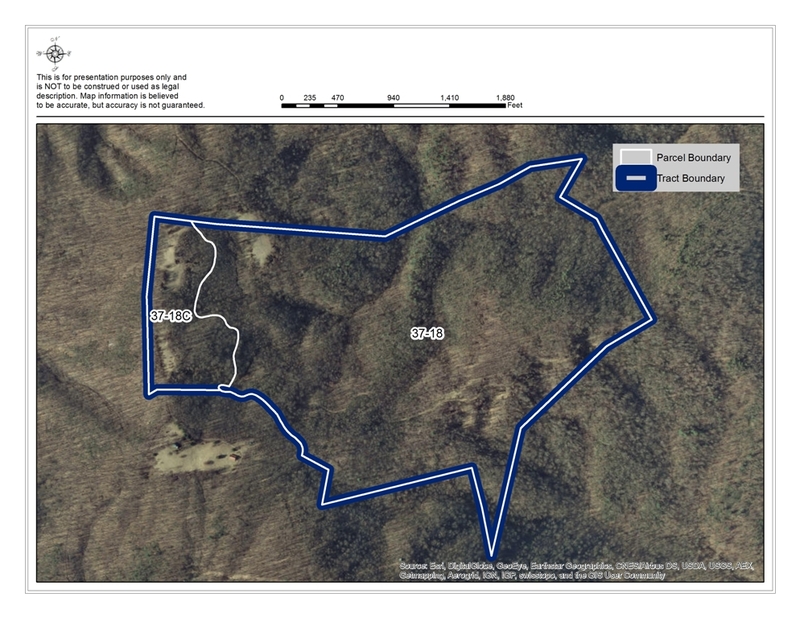 17 acres with great mountain views to the east (overlooking Madison) and west (into the Rapidan River valley, across to Flattop Ridge and surrounding mountains). Mostly open with electricity already in place. Ideal for a weekend getaway within 1 ½ hours from DC. Hunting, hiking and other recreational opportunities. Access is by 4-wheel drive vehicle. Available with additional land. From the Town of Madison, follow Ruth Road 4.8 miles to Ruth Hollow Fire Trail on the right. For GPS purposes, the house on the corner of Ruth Rd and Ruth Hollow Fire Trail is 9 Ruth Hollow Fire Trail (not a part of this listing).